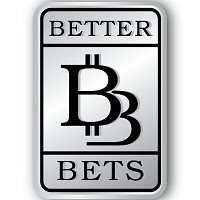 Better Bets is a new Bitcoin dice site designed to provide a premium, first class experience to its user base by implementing a social interaction system, “Luck Forging”, Happy Hour and raffle prizes for their user base. One of the most exciting new features BetterBets has integrated into their site is bots. If you know how to program in Java you can program your own in-house bot to play for you! Better Bets doesn’t just specialize in dice, however, and you can bet on Plinko and even horse racing. Using a provably fair system and faucet it’s clear Better Bets is driving to become a force to be reckoned with in the near future. So how well does Better Bets hold up to the rest of the industry in terms of quality and innovation? While being able to talk with other members on the site isn’t revolutionary in the BTC dice industry, it is a step ahead of other sites and adds extra flavor to the already well-rounded platform. Discussing strategy or even having a fun chat with other members about random life topics definitely adds more value to Better Bets as a whole. Luck Forging is a relatively new concept to dice and allows players to reduce the house edge of 1% all the way down to 0.1%, enabling stronger returns on investment for members. To enable luck forging players are required to make 1,000 non-zero bets. Keep in mind reducing the house edge to 0.1% will only be possible for 20 bets before becoming disabled so making your larger bets here in a strategic manner will provide more value for those who have achieved it. 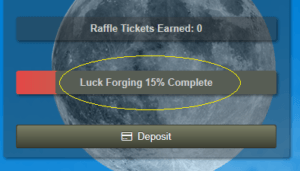 A raffle system is available for all players who make 500 or more non-zero bets. Members who place 500 non-zero bets will receive an additional raffle ticket for every 500 additional bets made thereafter. 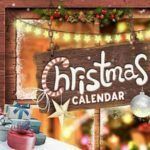 The monthly prizes change each and every month and a yearly raffle prize has been announced emphasizing long term playing. Happy Hour will take place every Friday for approximately 1 hour, reducing the house edge by 0.25%. Take note that it will occur during 1 hour for your specific time zone so if it takes place at 6 PM it will not go into effect until it is 6 PM in your time zone. Faucets aren’t a new feature to dice sites but are certainly a must-have. The faucet for Better Bets is 200 Satoshi and can be claimed every 5 minutes. Users that are botting will be unable to use this feature as Google Captchas have been implanted requiring manual user interaction to enable the faucet. A Java command line interface is under construction for players to write their own bots for automated bets. This will become a handy tool for all of us who have been using bots to place our bets for us to increase our edges over the house. Unfortunately, if you don’t know how to write Java in the CLI this feature won’t be as exciting for you. If you do not know how to program in Java, the ability to automate bets is available. For the time being, Better Bets does support standard bots provided you adjust for API. Now that we’ve discussed all the major features of Better Bets, let’s discuss the site itself. While we must admit that the interface is more complex than other betting sites, we argue that complexity adds more customization. Standard one-bets without automation is exactly would you have experienced on other sites and automated bets are the industry standard with no real improvements. Navigation of the site is straight forward and browsing is user-friendly and the color scheme is easy on the eyes. All bets are recorded on the bottom of your screen so you can keep track of wins/losses. Our only complaint about the interface is that it was a bit buggy while trying to navigate the menus but due to the freshness of the site, we imagine this will be resolved in the near future. If you wanted to try out some new games Better Bets has some software-based games to try out while you automate your bets. 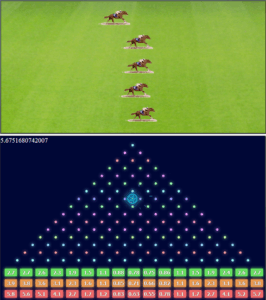 Horse Racing and Plinko have been added to the site allowing players to bet their BTC on the winning horse or where the Plinko chip drops. 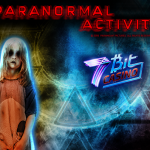 Adding new ways to play fun games without the hassle of depositing our Bitcoins on other sites is much appreciated and we thought these games added a lot of character. Betting on Plinko allows you to bet on one of three colors, each providing their own win/loss ratios. Like dice and horse racing, your bets are logged on the bottom of the screen. The provably fair system shined here as we could visibly see out 50/50 chances of winning coming out true. Mass betting in Plinko causes a lot of lag, however and takes a while to complete. Investing is not a new feature to dice sites but is becoming more and more popular. While Better Bets does not accept direct investments, they do accept investments with their affiliate MoneyPot. Like other dice sites that accept investing, you can invest in a certain percentage of the house bankroll giving the community a piece of ownership in the site. This increases community involvement and solidifies relationships between players who work together to make the site a better place. How Does Better Bets Hold Up? When compared to the competition, Better Bets does a fantastic job of providing all the industry standards and then some. A slick interface with automated bets and some new games to try out add to the appeal. 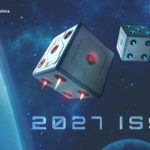 Additional games, prizes and the promise of upcoming features makes playing here very exciting and we expect their stock to rise over the next few months. It seems as though www.BetterBets.io has either matched or one-upped the competition in virtually every aspect. We certainly enjoyed the site and while it’s still not perfect, we can be positive that improvements are coming daily and it will be smooth sailing in the coming months as they clean up the imperfections. 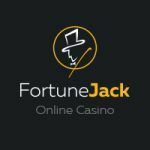 While you may not want to immediately withdraw from your current dice site, definitely keep an eye on this site as it’s certain to be a top gambling site in no time flat.